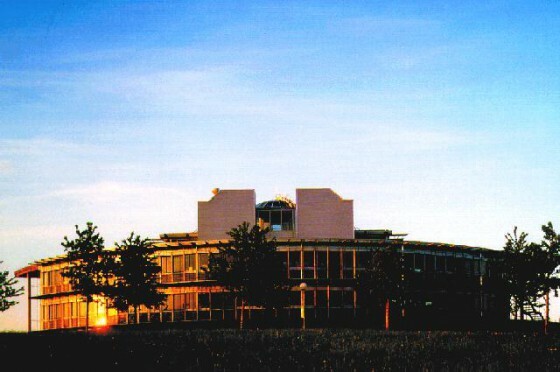 AMO GmbH is one of 13 non-university NRW research institutions of the “Johannes-Rau-Forschungsgemeinschaft”. On April 2, 2014 the “Johannes-Rau-Forschungsgemeinschaft” (JRF) has been founded with a ceremonial act in “Villa Horion” in Düsseldorf. AMO is one of the scientific members. Research as a key to new technological solutions – this has always been one of the main directions of AMO. 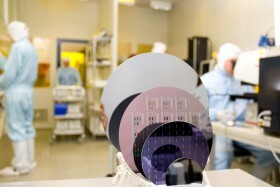 Now a further technology-transfer milestone has been set from the range of terahertz research. On January 28th and 29th 2014 the national kick-off event of the BMBF for Horizon 2020, the actual framework program of the European Union, took place in the Berlin Congress Center (BCC). 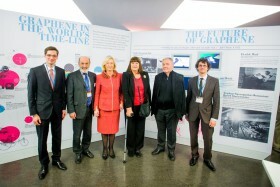 At this event, AMO GmbH presented an exhibition of the FET Flagship project Graphene. AMO with its long term experience in CMOS technology stands prepared for prototyping MEMS (MicroElectroMechanical Systems) to NEMS (NanoElectroMechanical Systems) and transforming innovation as a partner for the MEMS sector. On the occasion of its 20th anniversary AMO GmbH released a special anniversary brochure which offers an overview of AMO’s history and milestones. If you wish to receive a printed copy of the AMO brochure just send us a short e-mail.